Looking for something delicious and simple to grill? 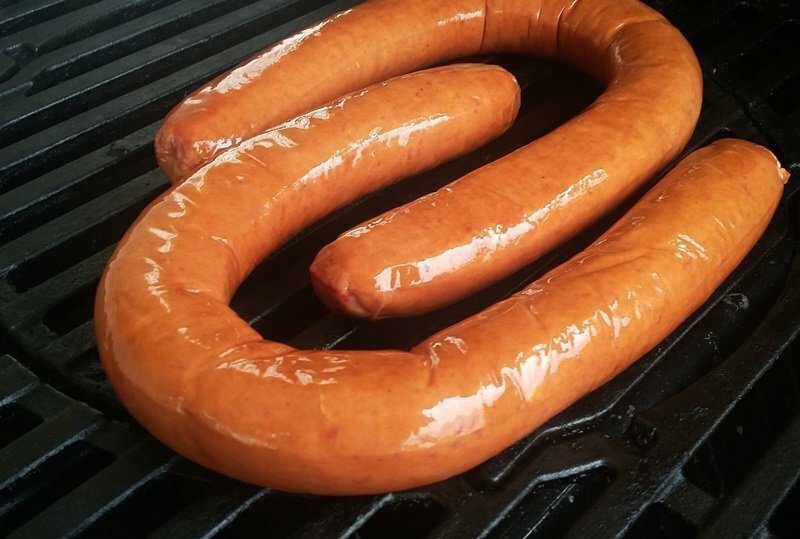 Hillshire Farm smoked sausage is your answer. They grill up very well, and require no preparation. Grilling these rope sausages is easy and really hard to screw up. 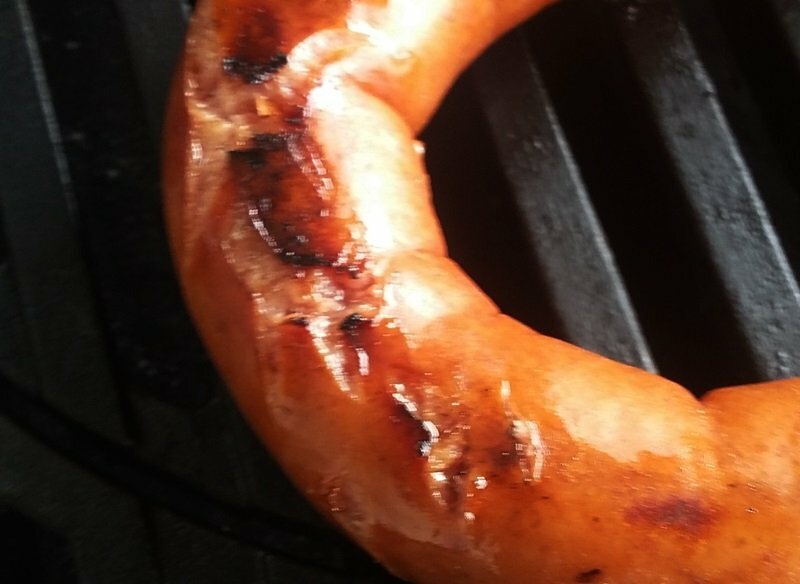 A Hillshire Farm smoked sausage is fully cooked. What this means to you: you are just heating it up, it can not be under cooked but should be heated through. Grill over medium-high heat for 12-14 minutes, turning frequently. Pre-heat your grill to a medium high heat. Remove the smoked sausage from the package and rinse. 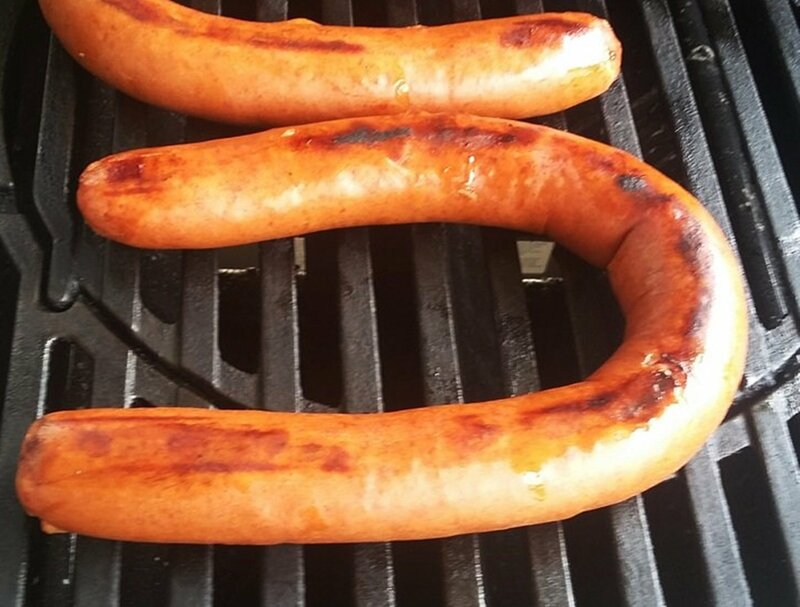 Place the whole Hillshire Farm smoked sausage rope on the grill directly over the heat. Turn with tongs every 4 to 5 minutes until the smooth outer layer bursts revealing the inside. Then remove from the grill. This will give you a tender and juicy inside with a firm bite through outer layer. Cut into bun length sections and serve on a sausage bun with a whole grain mustard. The Steven Raichlen large sausage grilling basket will hold and turn up to 10 full size sausages or 5 short rope sausages. 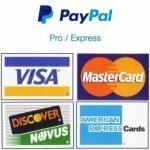 This is far from the only way to grill these but it is our favorite way and we believe that this gives you a better result than the other methods. Remove the smoked sausage rope form the package, rinse. 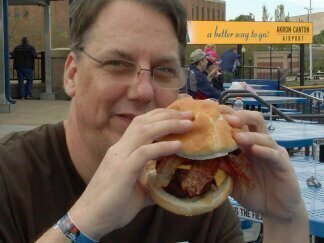 Then cut the sausage into bun length sections. To butterfly cut the sausage: cut the sausage lengthwise about 3/4 of the way deep being careful not to cut all the way through the sausage. Hold each side of the sliced section and carefully pry it open (cut a little deeper if needed) so that the inside can lay flat on the grill. Set each finished section aside and repeat as needed. You can get 3 to 4 bun length cuts out of each of these rope sausages. Pre-heat your grill to a medium high heat. Place the sausage cut side down on your grill grates directly above the heat. You total cooking time will be cut in half around 6 to 8 minutes total. Keeping the cut side of the sausage down move slightly on the grill after about 3 minutes and turn after another 2 minutes. The inside of the sausage should be fully caramelized but not burnt when you turn them. Once full caramelization has been achieved grill on the other side for an additional 2 to 3 minutes. This method will give you a different texture and slightly different taste but you are sacrificing the juices. This is a great technique if your loading your sausages with toppings though. This article has not been endorsed or approved by the good people at Hillshire Farms nor has any type of compensation been received for publishing it. I would be open to receiving free sausages though, the 2nd best kind of food is the free kind. 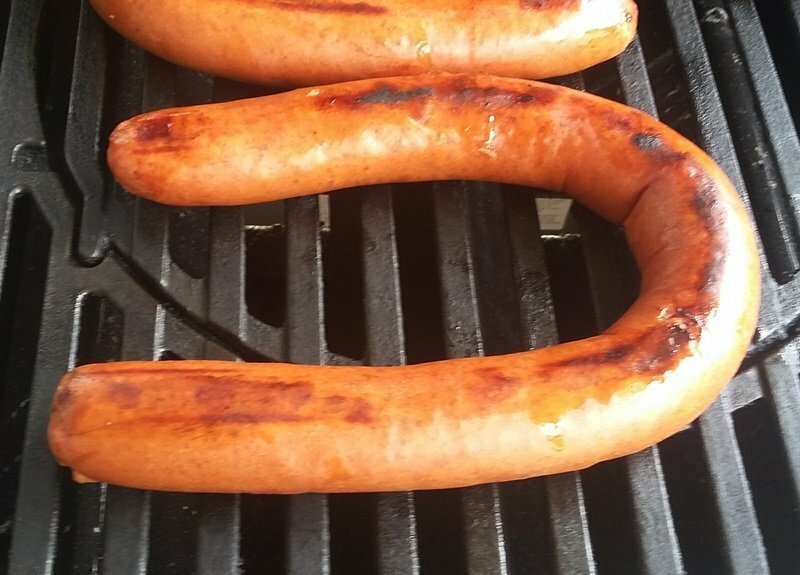 To grill Hillshire Farm smoked sausage rope. Grill over direct medium-high heat while turning frequently.